The Lesson Plans file contains the Registration Link on Page 2. If you’re using the full K-5 curriculum, there is a separate file called K5 REGISTRATION LINK that enables you to register for all 6 grade levels in one form. The registration link is going to bring you to a checkout page. It should be a $0 transaction and not ask you for any billing information (unless you have something else in your cart too). Fill out the required information and you’ll have instant access once the order goes through. On the checkout page, just sign in and go through the checkout process. If you need to change your username, see the answer below. I have to manually change the username for you, so please email me info@brittanywashburn.com and let me know what your first and second choice username is. If your first choice is already taken, I’ll try the second choice. Most people choose their school name or mascot so that it is easy for students to remember. You can change your password at any time using the Password Reset link under the login box. Check your confirmation email for the download links. On the footer of the website there is a link called Access Order Downloads. You can always go there to retrieve your order details and downloads. Teachers and students use the same account on this site. The account you made to register is the same username and password that your students will use to access their lessons. 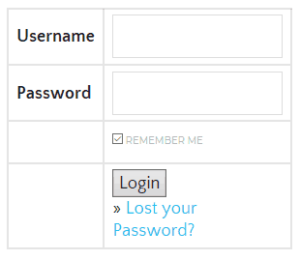 *Choose “remember me” in the login box the first time so that the browser will remember the login credentials and your students don’t have to type them every time. Does the site collect any student data? No. The teacher has full control over which lesson students should access and collecting finished projects. The site doesn’t keep track of anything. This enables us to use it with students under the age of 13. Some of the activities on the site require an account on the external websites. An example of this is in 4th grade – Internet Safety. Students will need a free account to be able to use Digital Passport. Teachers are responsible for setting these accounts up for their students. You may link to this website from your school and/or class website. Unlike the previous version, (prior to November 1st 2017) links do not need to be placed behind a password protected page or learning management system. Some of the activities included in the lessons link to Flash games and content. Flash games are being replaced over time with options that work in more browsers. For now, Firefox and Edge browsers still work for Flash games. If students do not have a Google Account, have them change the end of the URL from the word “copy” to “edit” to open the file. Then they will need to click File-> Make a Copy in order for the file to be interactive. These file types will download to the device in protected mode. Click on the button “Enable Editing” to start using the files. *Even if you have a different version of these programs at your school, all of the activities are generic enough to still work. You may have to point out where different icons are in your version for your students. Depending on your browser settings, the downloads may end up in weird places. Be sure that students know how to get to their downloads folder to retrieve the files. There are several Padlet pages linked in the lessons. You have 2 choices for using them with students. Students enter their answers right into the padlets provided. You (the teacher) make a copy of the padlet and provide a link to it to your students. The benefit of making your own copy is that your students can put more identifying information (like their first name and last initial) and that you can moderate content. I set aside time every Tuesday to fix broken links/images/files, etc. Please fill out a the bug report form and I’ll get to it that week. Occasionally, a link to an external site shows us that the activity has been removed. I reserve the right to change the activity completely without notice in this situation. I will always do my best to make sure the replacement activity meets the same standard(s). This form is meant to be filled out by students who haven’t followed expectations. Once submitted, the form goes to a filtered folder in my inbox. I don’t look at them, but if you need me to forward you the copy of it, you can email me. I recommend using the form as a way to hold students accountable for their actions.